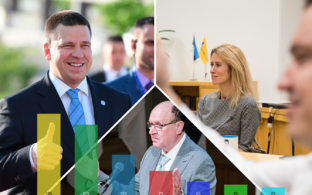 One month before the 2019 general election, the constellation of political parties in voter surveys seems to point to three large and three small parties in the next Riigikogu. 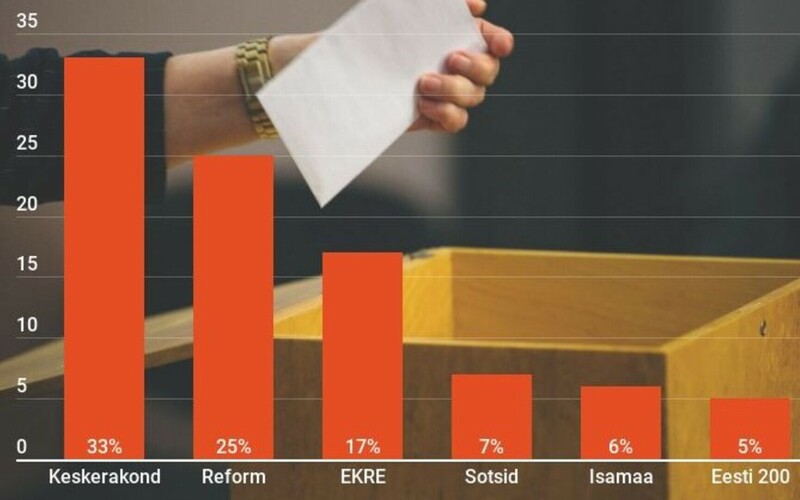 The position of the governing Centre and opposition Reform parties seems to be headed for a reverse, a poll commissioned by ERR and carried out by Turu-uuringute AS shows. 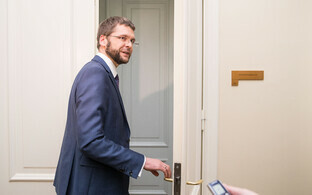 Roughly a month after the election on 3 March, President of the Riigikogu Eiki Nestor (SDE) will gavel the 13th Riigikogu out of existence. At that point, the voters could be looking at a clean swap of the top-two positions in the national parliament. 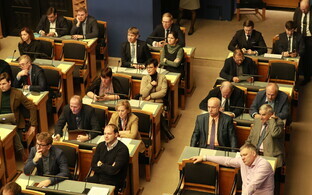 The Reform Party currently holds 30 mandates, ahead of the Centre Party's 25. 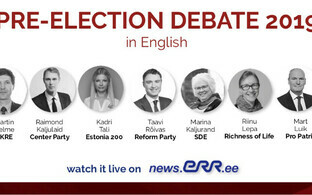 Looking at the ratings of ERR's January voter survey, there is a good chance Centre will get around 30 mandates, while Reform will lose a few, coming in about where Centre is right now. 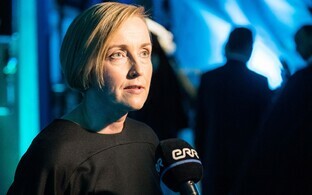 Following Centre's 33% and Reform's 25%, in January the Conservative People's Party of Estonia (EKRE) enjoys 17% voter support, further solidifying its position as Estonia's third-largest political force. 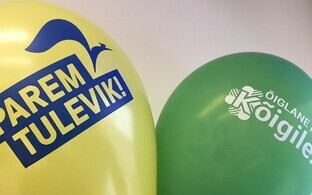 Support of the Centre Party has increased by 3% since December, that of Reform by 4%, EKRE have lost 1%. 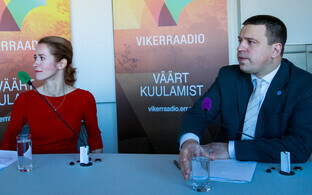 The junior coalition partners, the Social Democratic Party (SDE) and Pro Patria, are at 7 and 6% support, respectively. Newcomer Estonia 200, who was traded in the lower teens just a month ago, has crashed back to the election threshold at 5%, likely a consequence of a failed campaign stunt earlier this month (ERR News reported). 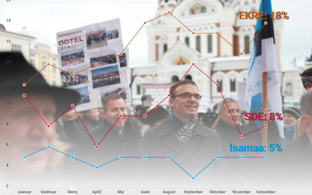 January's ratings are particularly dire in the case of the Social Democrats, whose ratings took a noticeable dip in November, when Estonia 200 entered party politics. 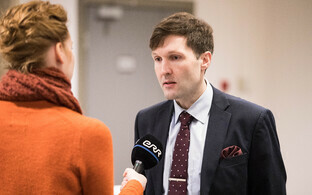 And although the latter is now in the doldrums, the Social Democrats have not profited, remaining just above the election threshold themselves. 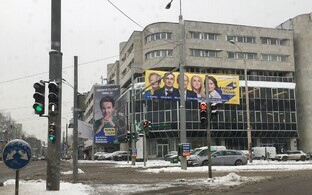 Meanwhile the Reform Party seems to have profited from Estonia 200's campaign mishap, gaining back some of the support it had previously lost to the newcomers. 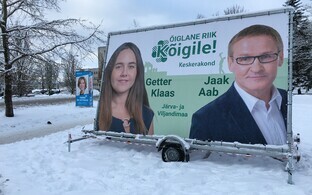 Among the remainder of Estonia's political parties, the Estonian Greens have 3%, the Free Party 1% and Richness of Life also just 1% support, all below the 5% threshold. Combined support of the coalition was at 46% in January, that of the opposition at 43%. Turnout is forecast to be 64-65%.